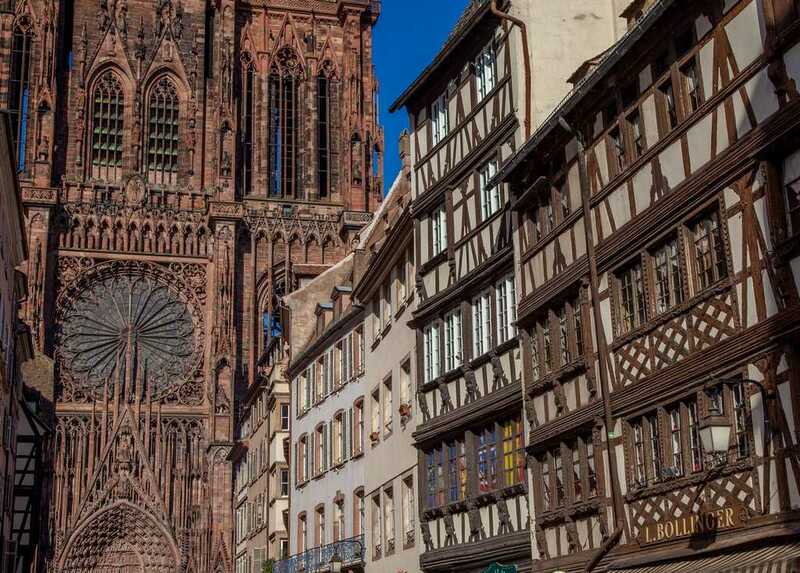 Strasbourg cathedral is an outstanding masterpiece of Gothic art. The construction of the Romanesque cathedral, of which only the crypt and the footprint remain, began in 1015. The spire of the current building, in a Gothic style, was completed in 1439. 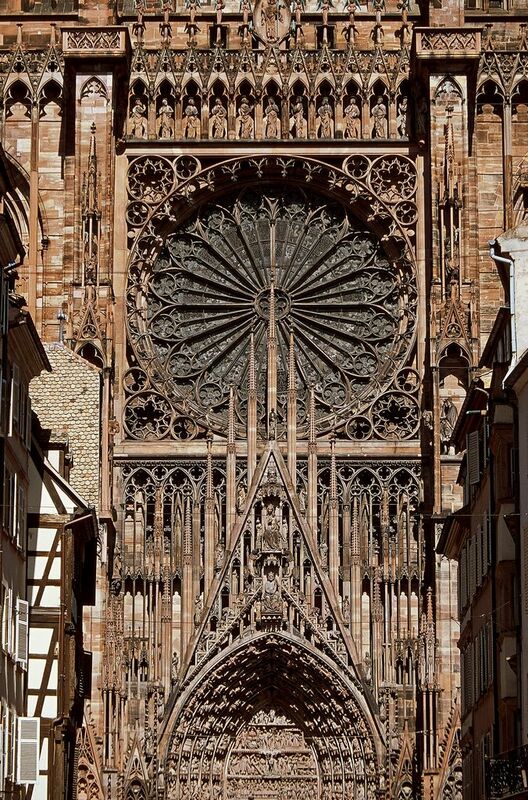 Described as "a skilful combination of monumental size and delicateness" by Victor Hugo, its facade offers a fantastic wealth of ornamental features. The 142 m spire is a masterpiece of architectural elegance and intricacy. 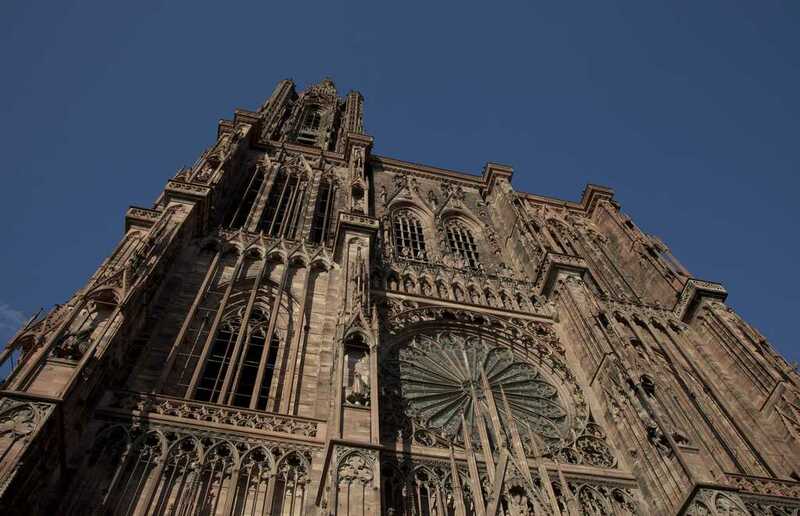 Up until the 19th century, the cathedral was the highest building in the whole of the Christian world. 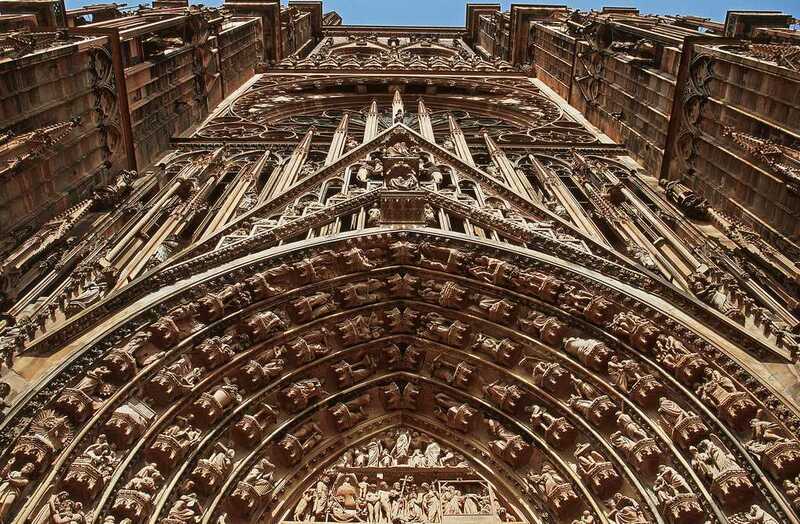 Viewed from the outside, the cathedral’s facade provides one of the finest picture books of the Middle Ages that you will ever see. The hundreds of sculptures which almost seem to leap out at you from the wall make great use of light and shadow effects. The colour of the pink sandstone changes according to the time of day and the colour of the sky. 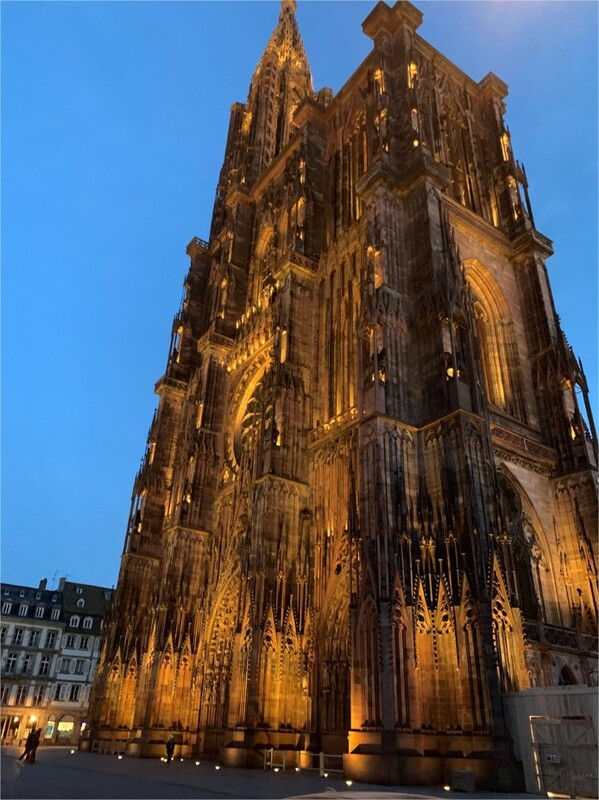 On summer evenings, the lighting effects around the cathedral are simply magical to watch. Inside the building, the long nave provides the perfect setting for spiritual contemplation. 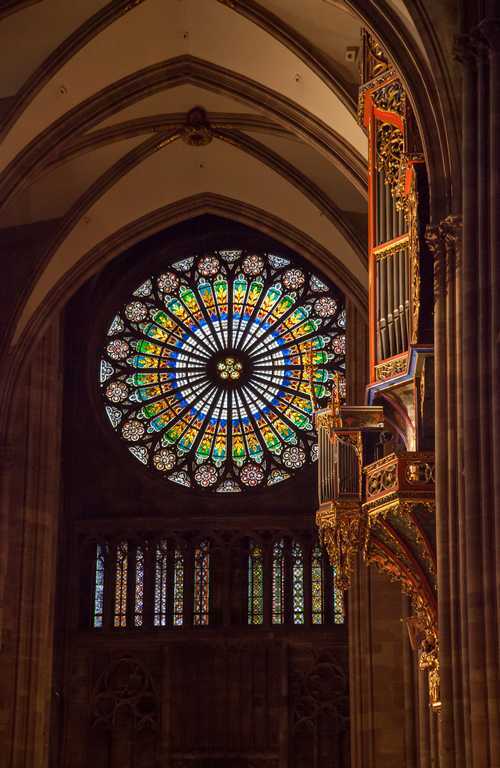 The stained-glass windows dating from the 12th and 14th centuries form a particularly enchanting sight along with the rose window. The huge organ includes a remarkable case equipped with animated figures. 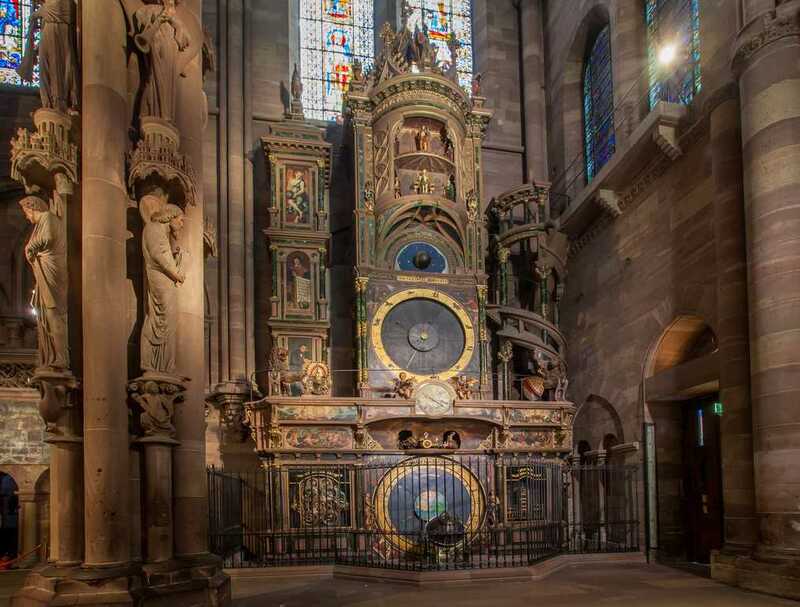 The Renaissance astronomical clock, (the mechanism of which dates from 1842) is a masterpiece in its own right, and visitors can admire a parade by the apostles every day at half past noon. Disabled access available on the northern side. 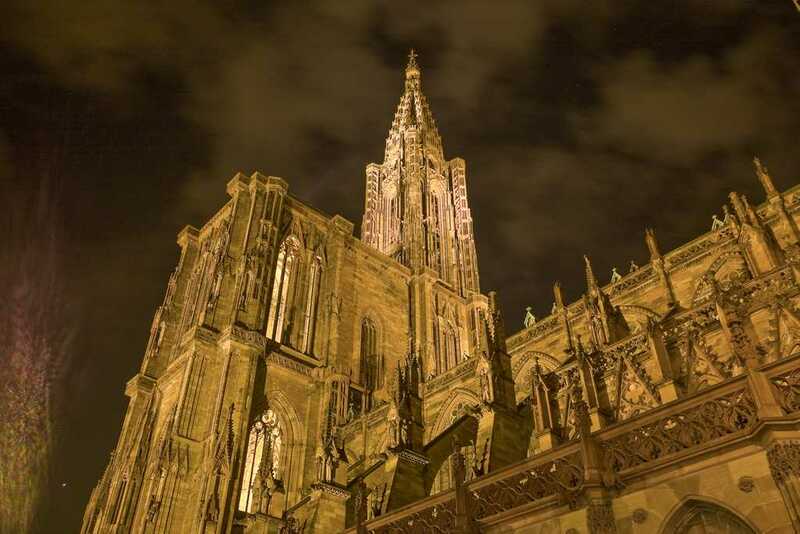 Parcours "The Cathedral of Strasbourg"